Exalted and debilitated planets in vedic astrology, importance of exalted and debilitated planets, when any planet is exalted and when any planet is debilitated. believed that if any planet is exalted then give good results to the native or person and if any planet become debiliated then it is harmful for the person. In general language we can take this as debilitated means very malefic and exalted means very positive. 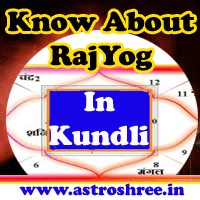 If sun is of Aries in kundli then it is exalted and if it is of Libra then it is debilitated. If Moon is sitting with Taurus in any house of horoscope then it is exalted and if it is sitting with scorpio then it is debilitated. If Mars is sitting with Capricorn in birth chart then it is said to be exalted and if it is sitting with cancer then it is said to be debilitated. If Mercury is of virgo then is called exalted and with pisces it is called debilitated. Jupiter with cancer is strong positive and jupiter with capricorn is said to be debilitated. Venus with pisces is exalted and with virgo it is said to be debilitated. Saturn with Libra is said to be exalted and with aries it is called strong malefic and so on. It must be kept in mind that exalted planet means strong planet which will generate strong positive impacts in life if it is powerful other wise the impacts may vary as per degree of the planet. Similarly Debilitated planet means strong planet which will generate negative impacts on person if it is powerful as per degree of the planet. We can also take this concept as debilitated planet is destructive and exalted planet as constructive. So while reading horoscope it is good to keep in mind the above concept. The problems in life, sufferings of life, misfortune may be result of debilitated or malefic planets. How Life Is Affected By Malefic Or Positive Planets? If we want to check that which segment of life is affected most because of the debilitated or exalted planet then it is necessary to check the position and place of planet i.e. in which house the planet is getting exalted or debilitated. For example if Sun is exalted in 10th house then it may help in getting government job, ancestor property, name, fame etc. But if it is becoming exalted in 12 house then the person may spend too much in journey, spiritual activities etc. It is good to consult astrologer to know the horoscope properly. Consult ASTROLOGER by clicking here for minute analysis and solutions of problems through astrology.